Part of your twenties, for a lot of us, involves getting a job. Including graduate scheme jobs after university. So over the next couple of weeks, I'm going to be sharing job-related posts as part of this blog series, as well as a few other (lighter) posts. And to kick that off - I'm talking about CVs. Writing a CV (or 'resumé', if you want to call it that instead) can be intimidating and stressful. You can follow all the templates and guides on what to include and how to structure it you want, but no template in the world will actually write the CV for you. The point of a CV is to sell yourself, right? To show off all your skills and show you're the one for the job. In this post, I'm going to talk about how to do that. Much as we know we shouldn't judge a book by its cover, we all do it. If the print on your CV is so small it needs a magnifying glass to read, people won't be so inclined to read it. This is where all those free templates and guides online will help you out. Use the header to write your name, email address, and phone number. Have this on every page: if they lost the first page but want to contact you about your application, this could make all the difference. Add your education at the start: where you studied, what, and what dates. You don't necessarily need to list all your grades and modules, but equally there's nothing stopping you doing that. Use your best judgement to find a balance. For instance: I didn't list all my uni modules and grades, just the degree class I got; but I listed my A Levels and GSCEs. Structure your employment history with most recent first, and maybe a couple of lines/one paragraph per employment. Header each one of date employed, job title, and who with. Don't forget your personal profile/statement. This is where you can really sell yourself! A friend of mine wasn't going to put his volunteer work on his CV. When I asked him why not, he shrugged, said he just didn't think it was relevant. "But it shows you're responsible, take initiative, dedicated - because you've done this several times now - and that you've been in a position of leadership. What about that isn't relevant? They're all pretty good and generic skills." I worried, when it came to writing my CV and applying for jobs, that I didn't have any experience. I had my writing, yes, and stuff I'd done off the back of it, but not any real 'job' since a summer of work experience when I was 16, almost five years before. That was the wrong way to look at it. I'd been hired to do consultancy work. I'd done some volunteering at a library. I'd been hired as a writer. 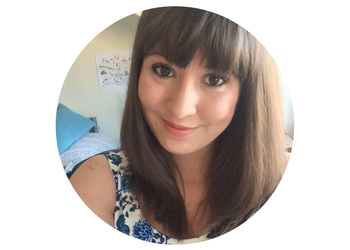 My work as a self-employed author counted and as part of that I'd done presentations, spoken at events and conferences, led workshops, done interviews, ran a blog, worked to deadlines, had an awareness of finance and contracts. Even groups and societies you've been an active part of - they're worth mentioning too! Probably better to put in your personal statement section rather than your employment history (unless it was like, an actual paid role and counts as employment!) but they're still a good experience to include. Whatever your experiences are, don't play them down. And while they may not be relevant to the job you're applying for, they're worth including. They'll demonstrate skills and experiences to your potential employers that will back up your CV. It's all well and good saying you're responsible, but show it. You were responsible when you worked as a waitress because of that time your manager asked you to deal with unhappy customers and you were able to resolve the situation. You say you're determined and take initiative? You are: as demonstrated by that time you started a Twitter account and Facebook page for the university society you were a part of. You can do a lot of this in your personal statement section, if there's not been room for it in your employment history. Or if your employment history paragraphs get to be more like small essays, they might be better cut down and some of that content mentioned in your personal statement instead. Read back over the job descriptions for the sort of jobs you're looking for. What skills are they looking for? What kind of experiences do they want? Think about how you can demonstrate them and how your experiences and skills relate to what they're looking for. Yes, you may not be able to tick every one of the boxes, or some of the skills may be a bit too niche. But broadly, does your CV cover what they're looking for? 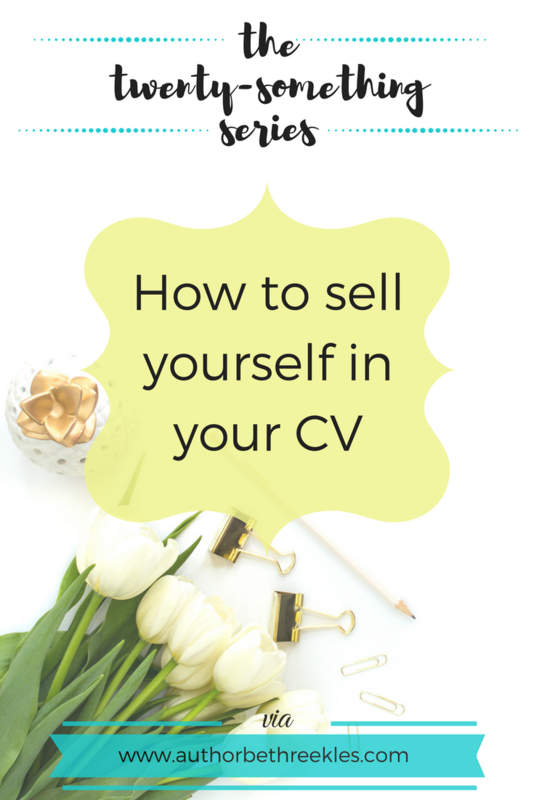 You might like to keep it more general if you're using your CV to apply to a variety of jobs (you can be more specific in your cover letter, after all), but you still want to make sure your CV sells you for this job. Ask someone else to take a look over your CV before you send it off. Preferably someone who's familiar with sending out/writing/reading CVs and knows what to look for in one. Whether that's an older sibling, a parent, a friend, or a current colleague. Ask for their opinion, advice, thoughts, feedback. Listen to what they've got to say. I was lucky that when I started applying to jobs in my final year and had to start pulling a CV together, my parents sat with me for a couple of hours to help me out. I didn't have a clue what I was doing and they were a big help. I said at the start of this post that half the battle of selling yourself in your CV is how it looks, and spelling and grammar come into that too. Print your CV out and read it very, very carefully. Look for typos and mistakes. (Little tip here: sometimes if you read it right-to-left you pick up typos more easily.) If you've been editing it a lot, you might have accidentally taken a word out of a sentence and now that sentence makes no sense. Check that it's all formatted properly: if you've underlined the dates and job titles of all your previous employment, make sure that's consistent throughout the whole CV. And look out for repetition, too. If you've used the word 'passionate' ten times in the last few sentences, find some synonyms or alter the way you've constructed the sentence so you don't need to use the word again. This is my final point of advice in this post, because it's true, and was one of the things I found hardest when I put my CV together first. There's a difference between outright bragging to someone and sounding like an arse about it, and just writing about what you've done and showing why you're well-suited to this job. This isn't a time to put yourself down or undermine yourself. And there it is - my advice for selling yourself in your CV! I'm also going to talk about things like cover letters, prepping for interviews, and things like that over the next few weeks, but if there's anything in particular you'd like to see feel free to request in the comments below or Tweet me @Reekles.